The natural world is a container of sorts for many things, both human and otherwise. While we share a complex relationship with the contents of this planet, routine and convenience regularly obfuscate it. With the deliberate re-contextualization of images and objects, Romance & The Landscape disrupts the banality of the day to day. In this way the work functions as a reminder to consider the complicated role we play in the intricacy of this system. Romance & The Landscape by Justin Hodges disrupts the banality of the day to day by re-contextualizing images and objects and highlighting the intricacy of our relationship to our planet. 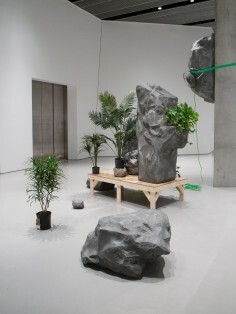 According to the artist, the natural world is a container of sorts for many things, both human and otherwise. With that, he encourages us to think about the routines and convenience of our interactions.